On January 5, 2017, Rascal Flatts released a new single, Yours If You Want It. The track serves as the lead single from their 10th studio album entitled Back to Us. The album was released on May 19th. 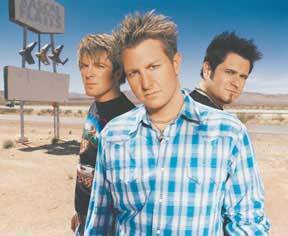 Gary Levox, Jay DeMarcus and Joe Don Rooney are Rascal Flatts -- known primarily for their pleasing harmonies and an eclectic mix of country, pop, and R&B.